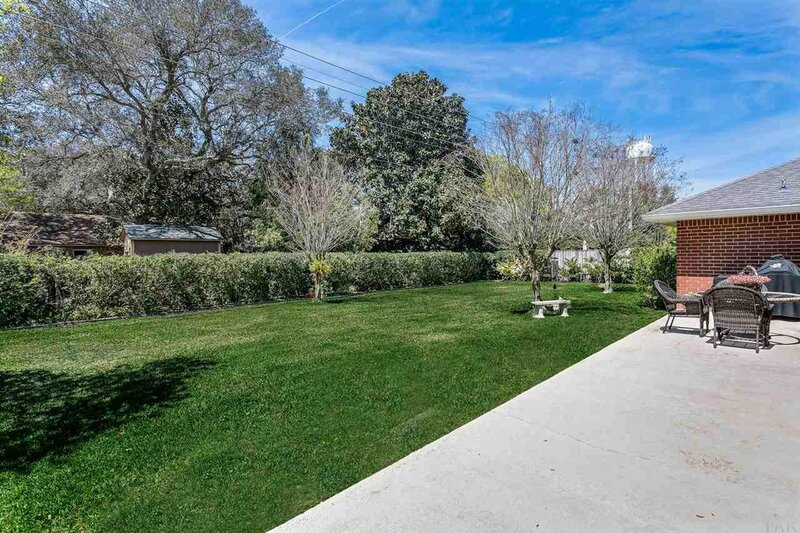 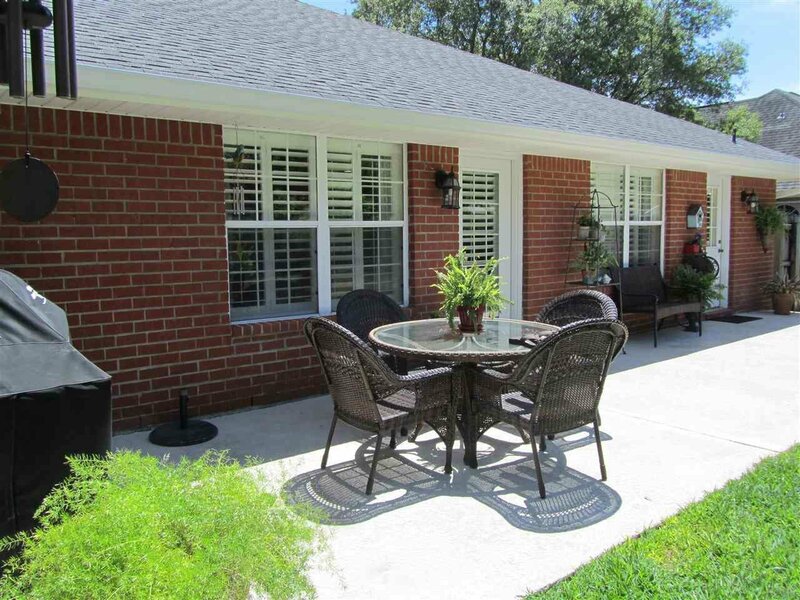 SPACIOUS, WELL MAINTAINED HOME. 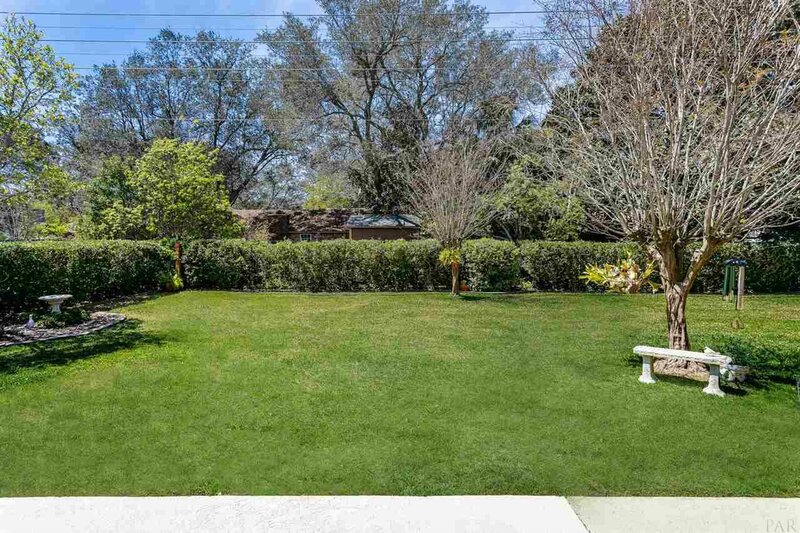 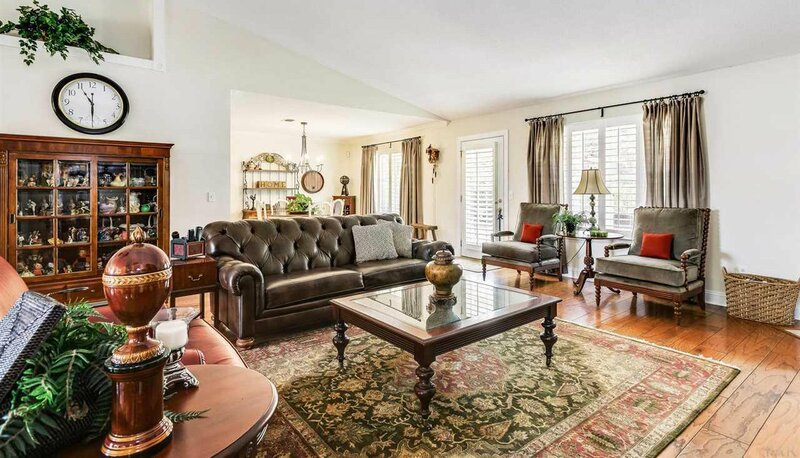 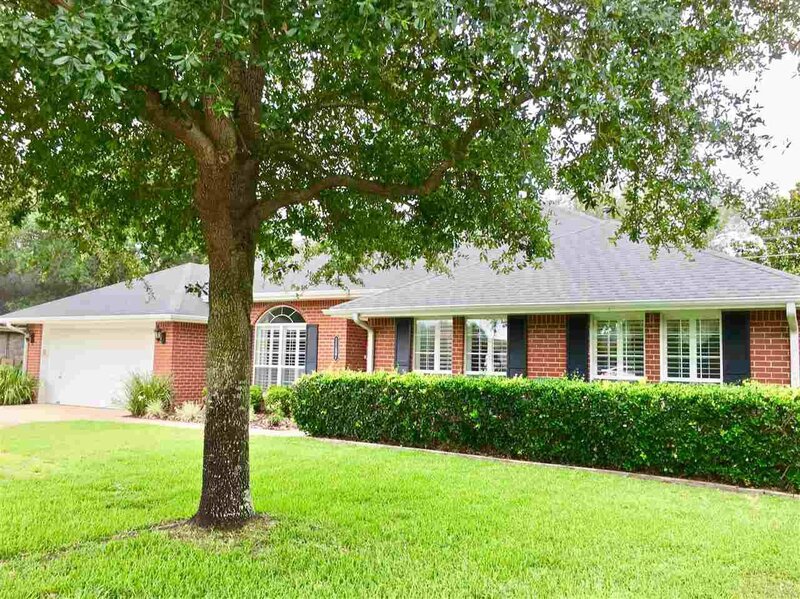 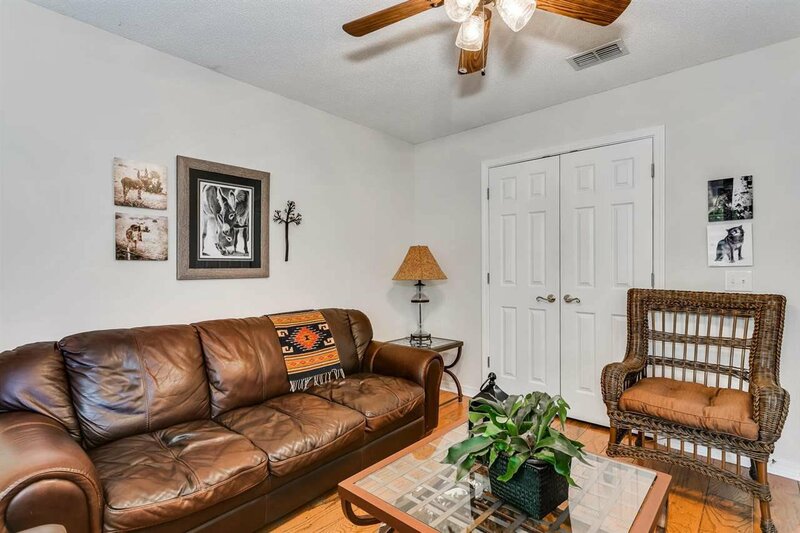 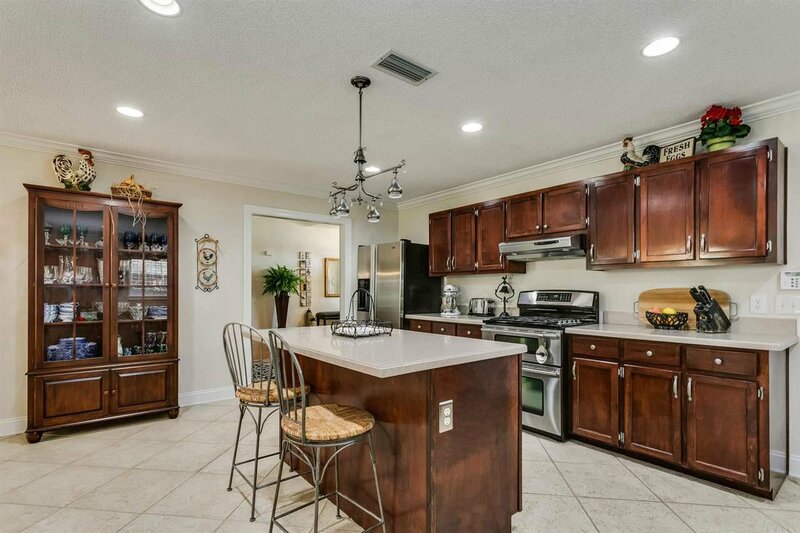 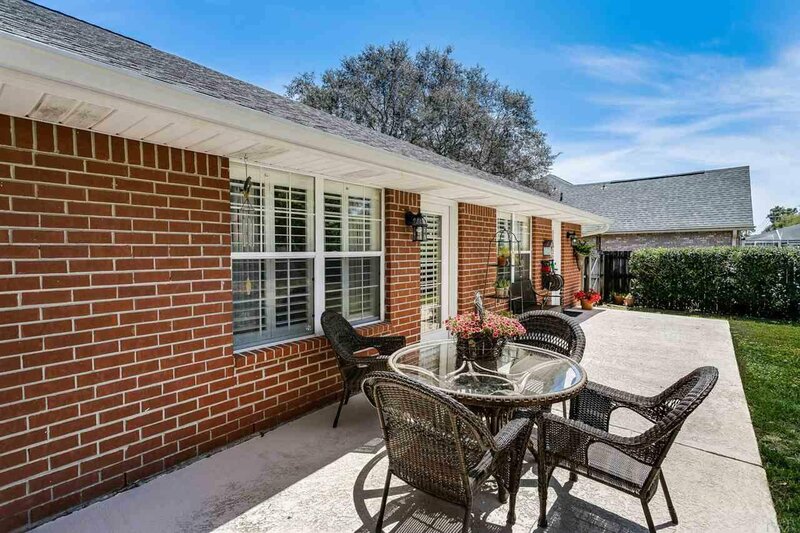 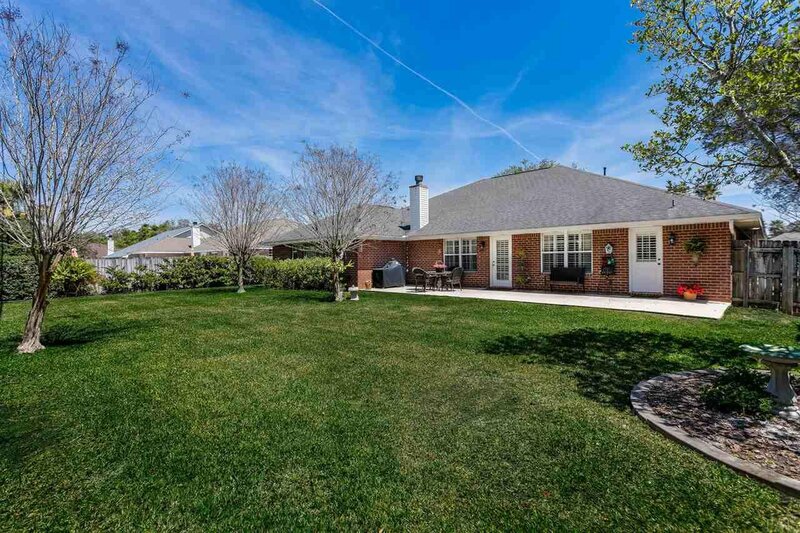 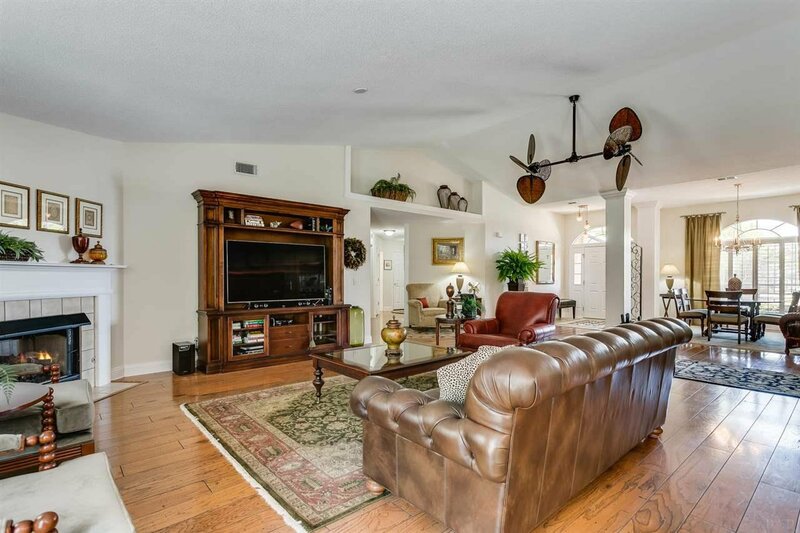 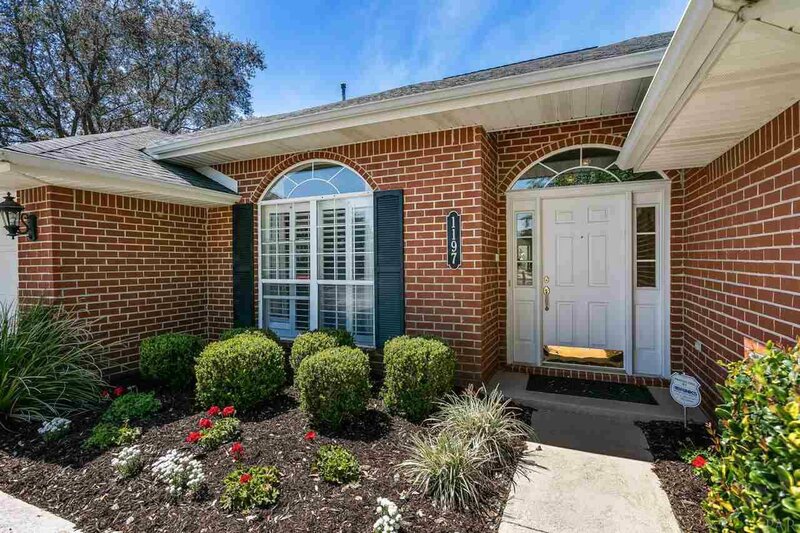 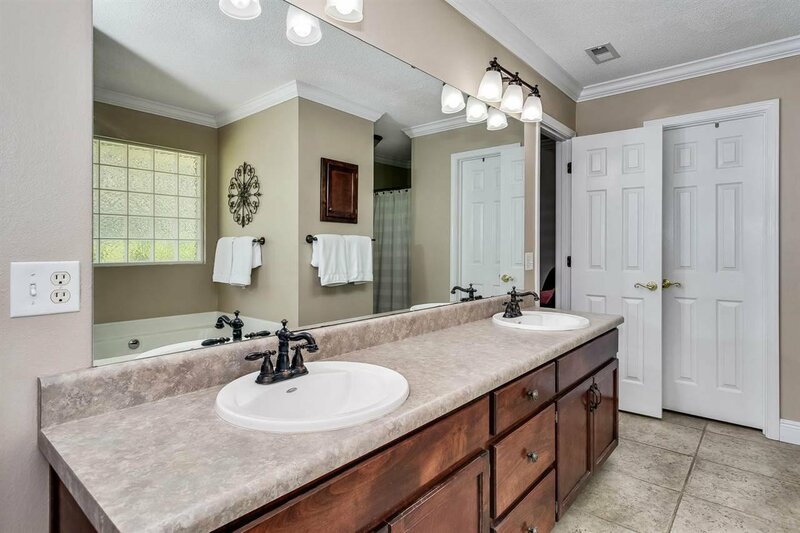 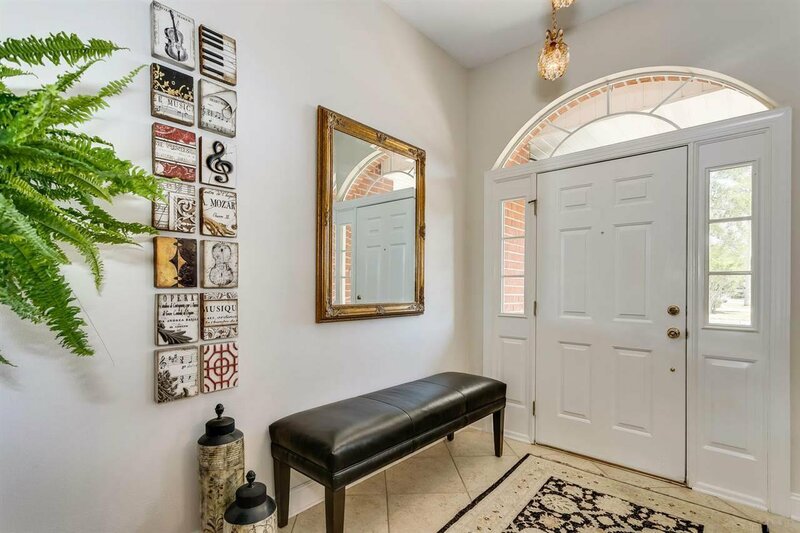 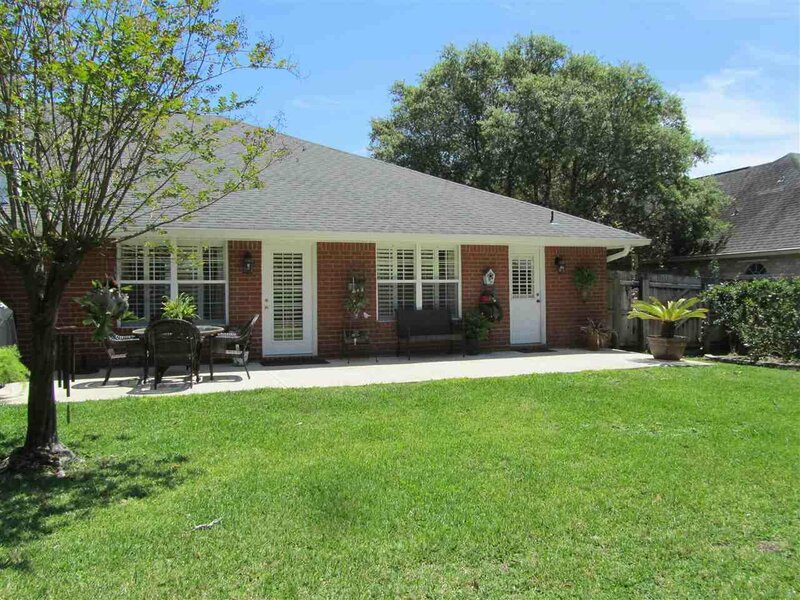 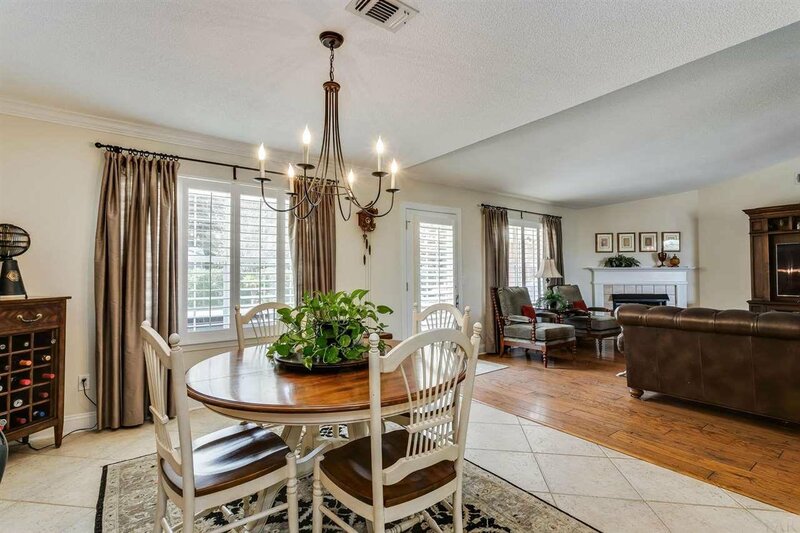 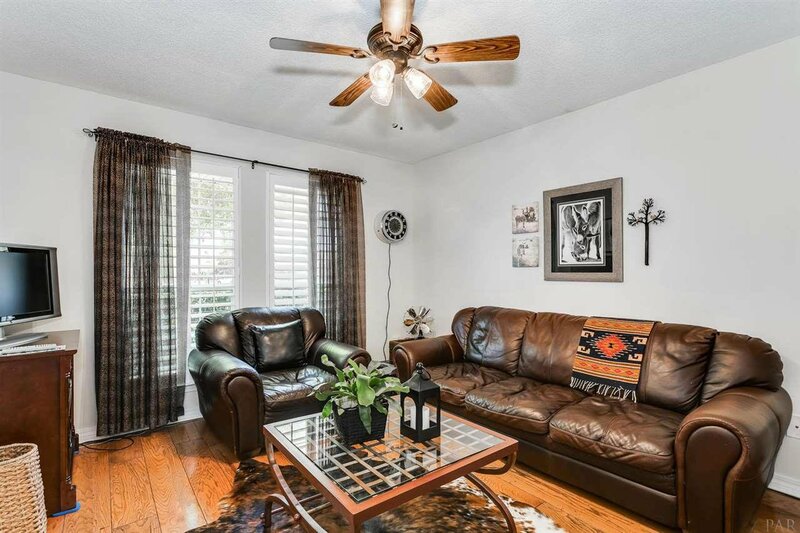 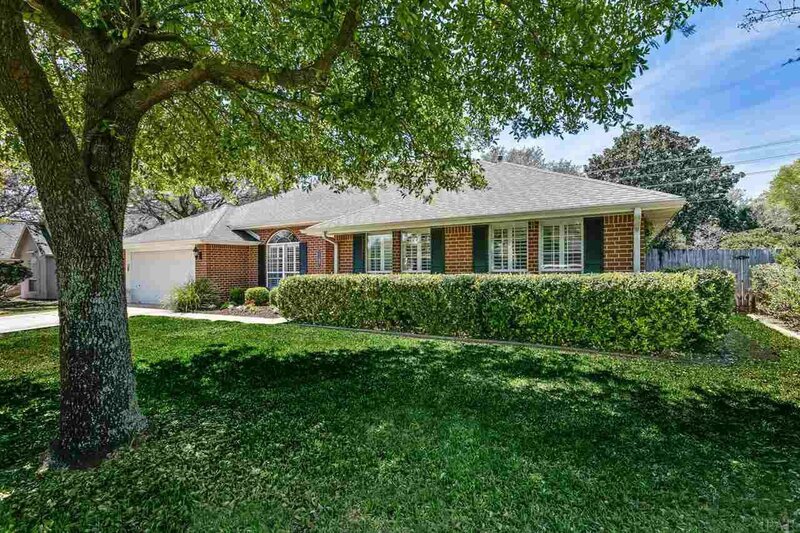 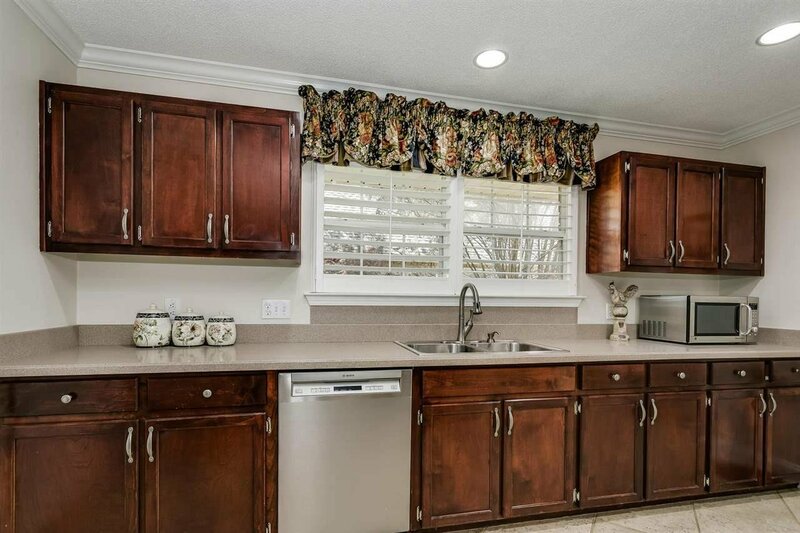 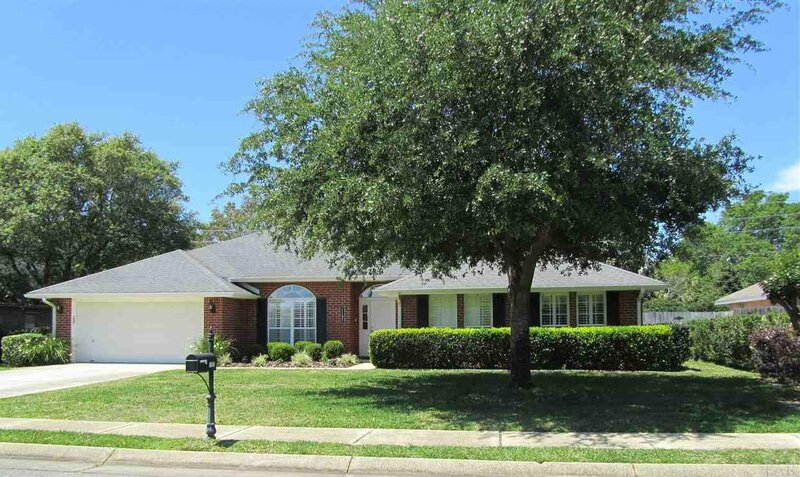 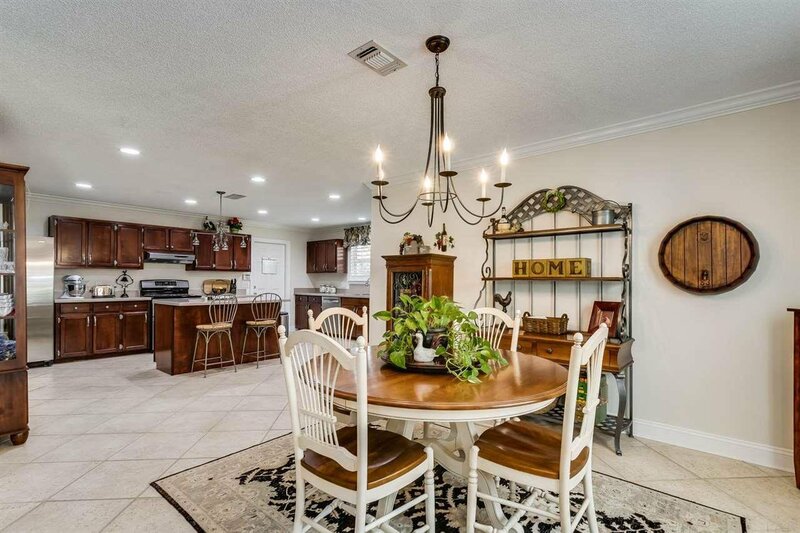 This traditional home is located in one of Gulf Breeze's finest neighborhoods and within the TOP rated district of Gulf Breeze Elementary, Middle and High schools. 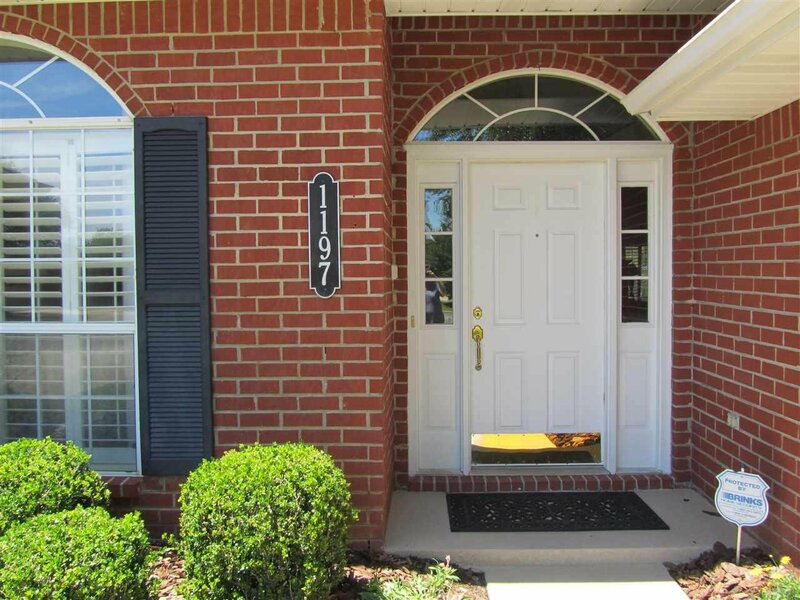 Sidewalks, street lights, and friendly people contribute to a quality lifestyle in this great community. 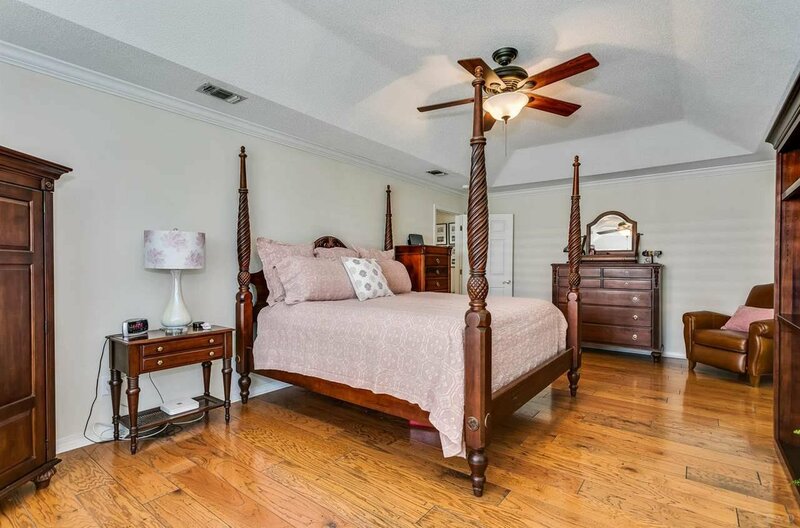 The home offers large, open spaces with modern amenities and special features, including beautiful, wide-plank wood flooring in all living areas and bedrooms. 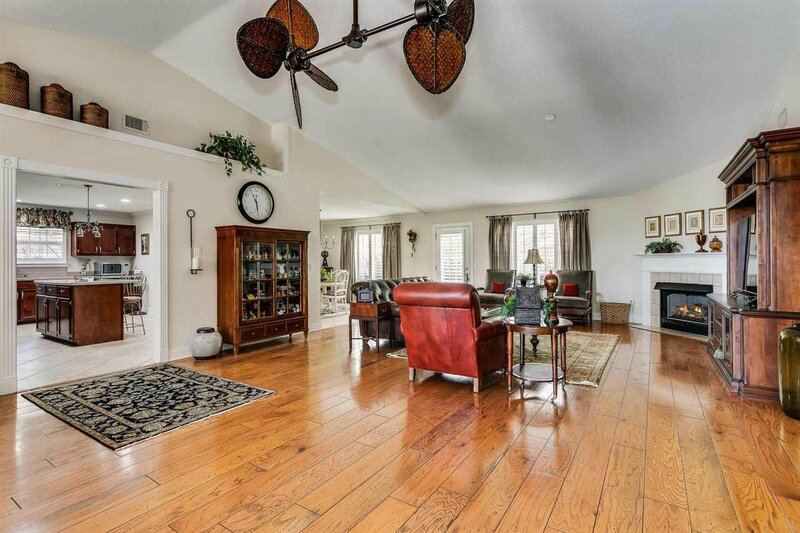 (No carpet in this home.) 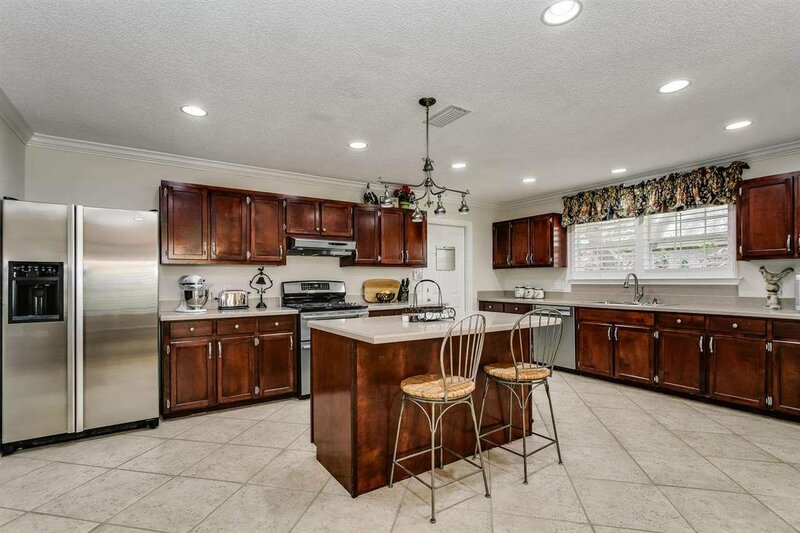 18x18 porcelain stoneware flooring installed in kitchen and bathrooms. 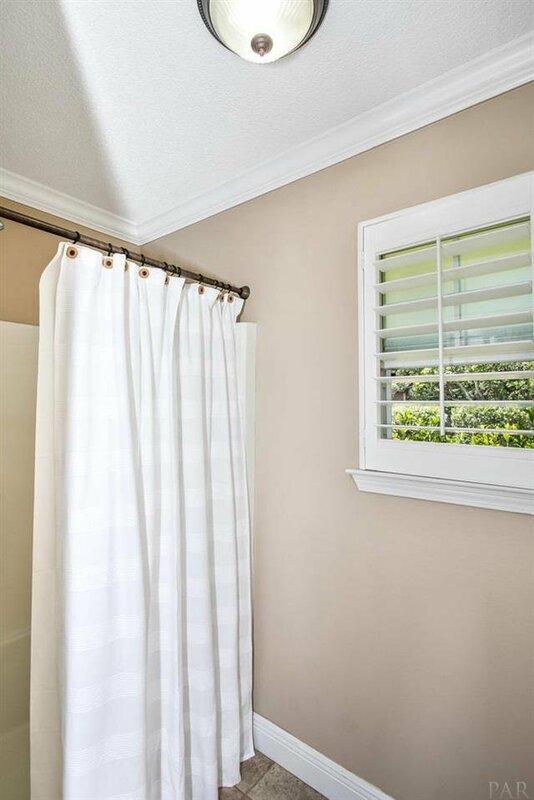 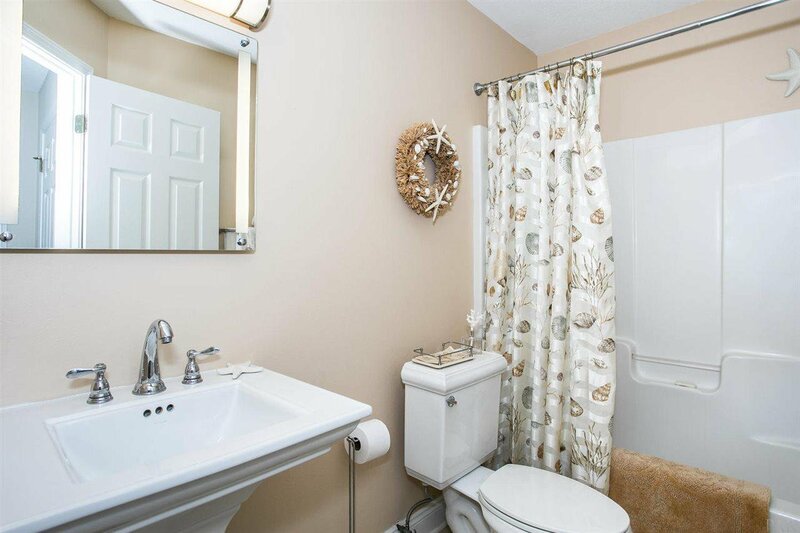 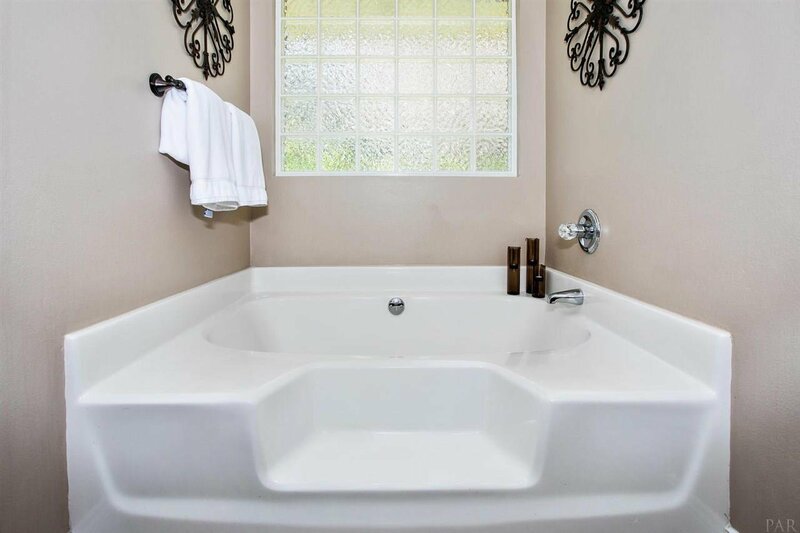 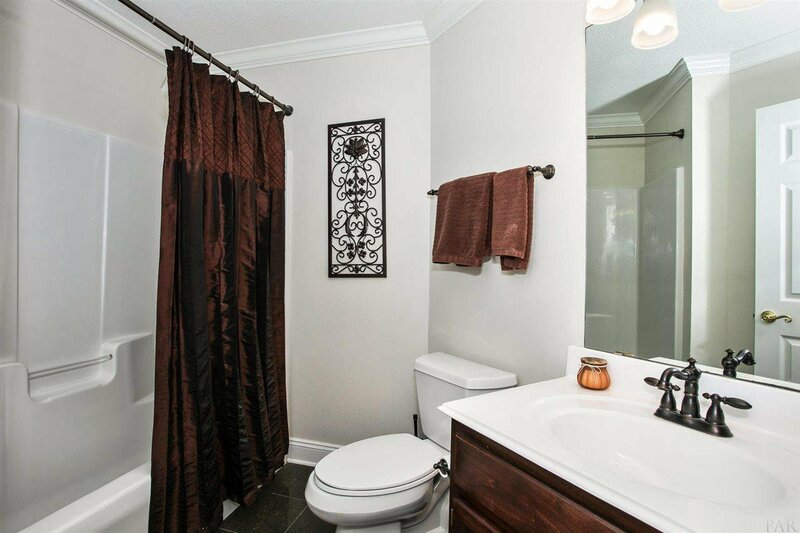 Modern plumbing fixtures, beautiful lighting and ceiling fans have also been installed throughout. 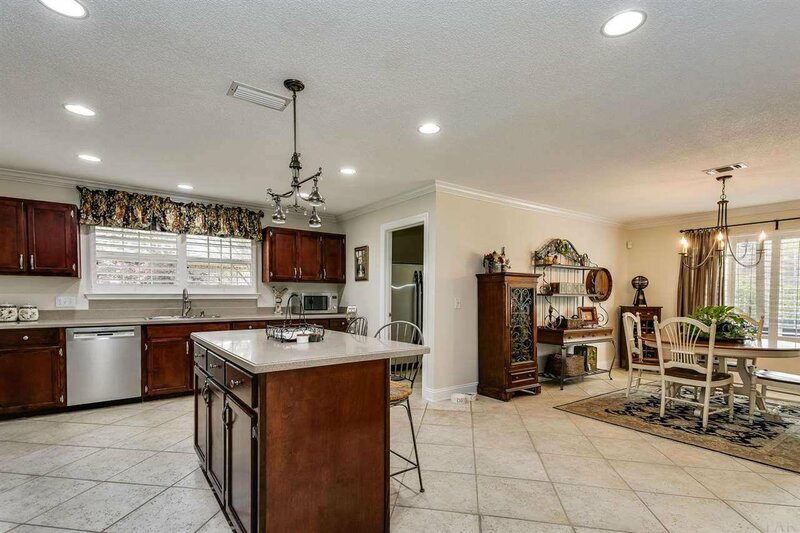 The huge kitchen offers a center isle, cherry-stained cabinets, solid-surface countertops, JennAir stainless steel refrigerator (counter-depth), and JennAir stainless steel dual-fuel stove with double, convection oven. 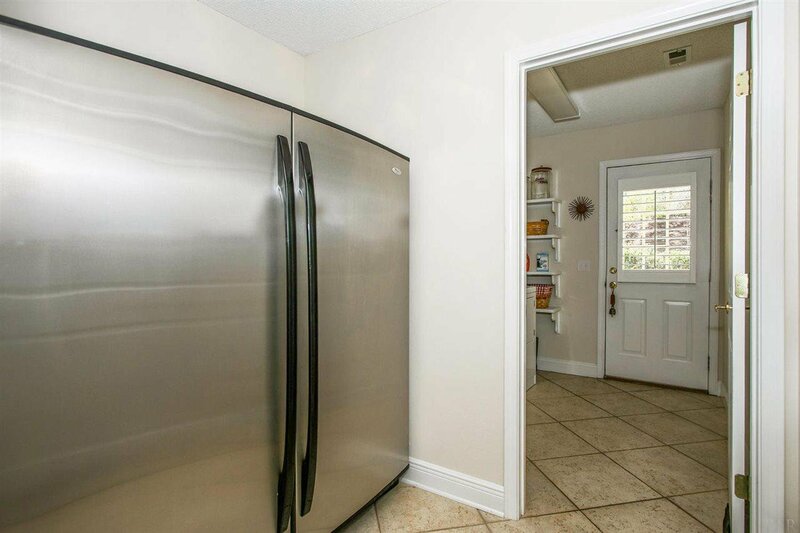 An extra stainless steel refrigerator and freezer are located in a small room off the kitchen. 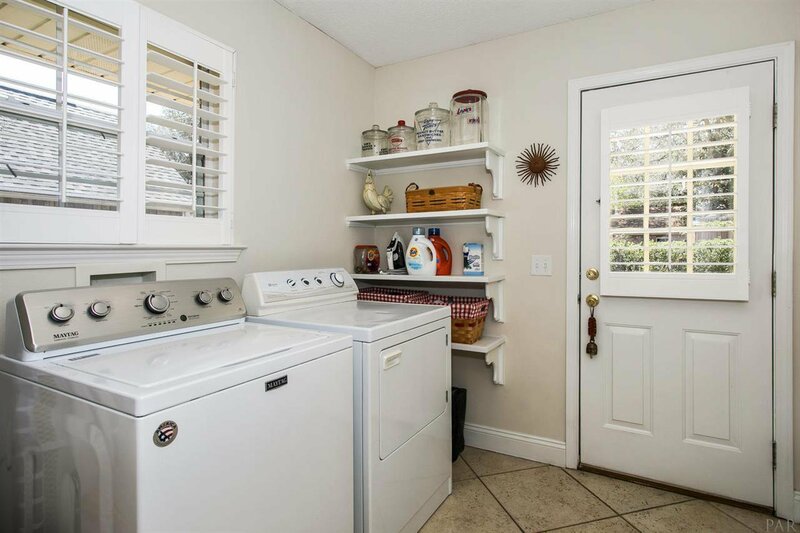 The large laundry room adds to the convenience of this home. 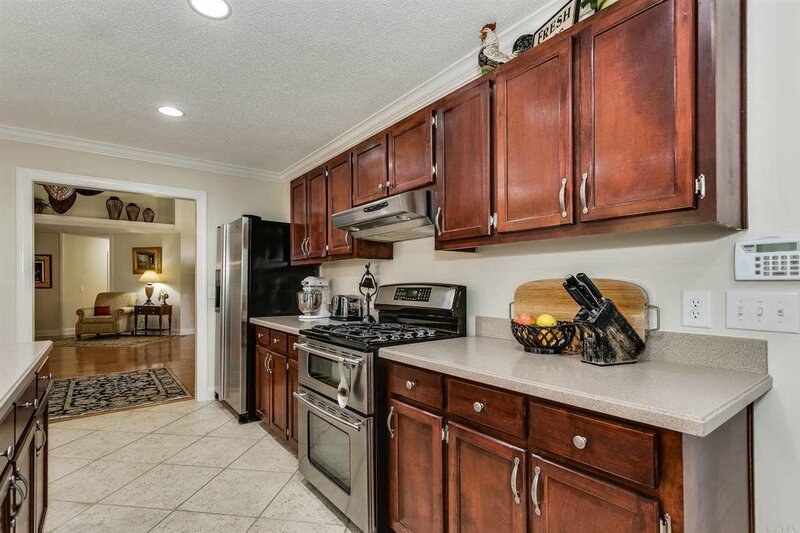 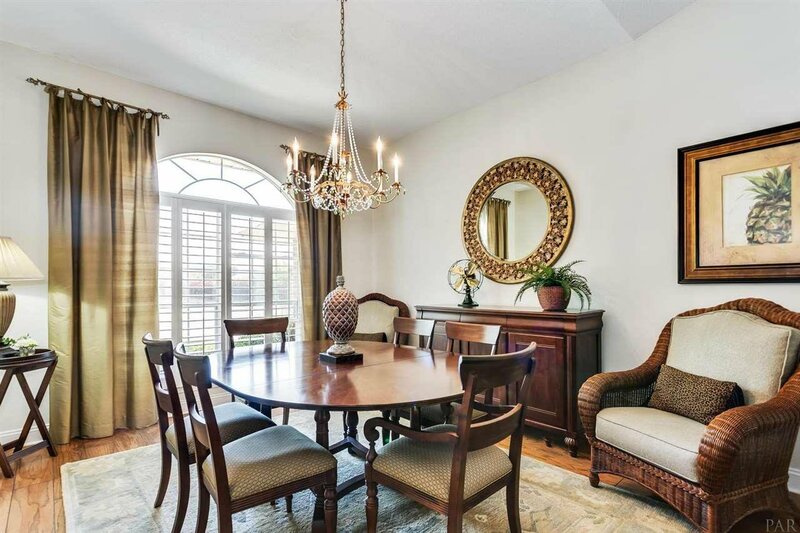 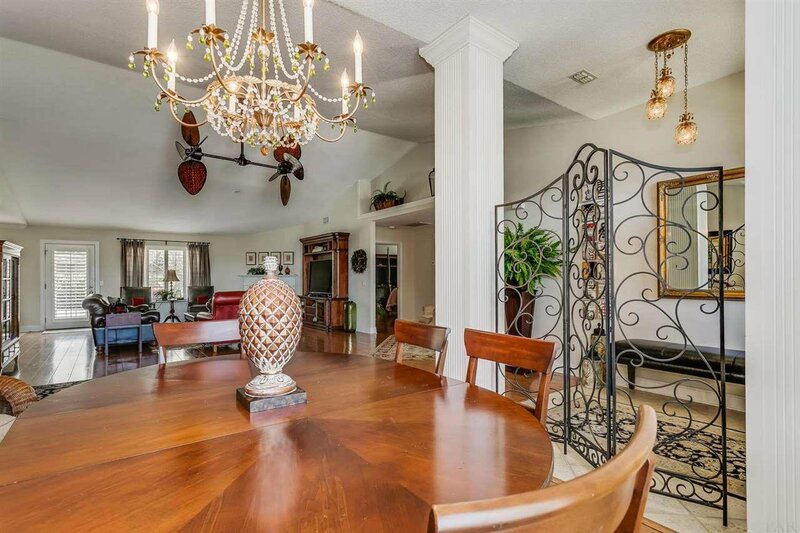 The eat-in kitchen and separate formal dining room provide plenty of space for entertaining. 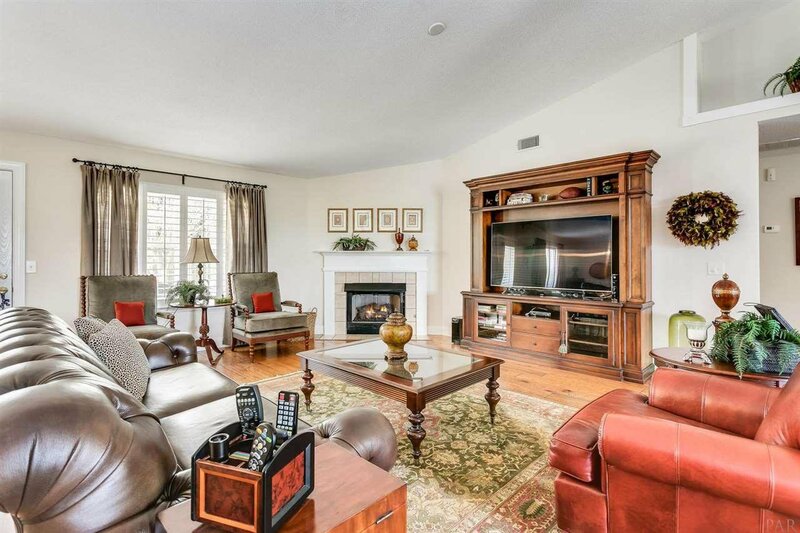 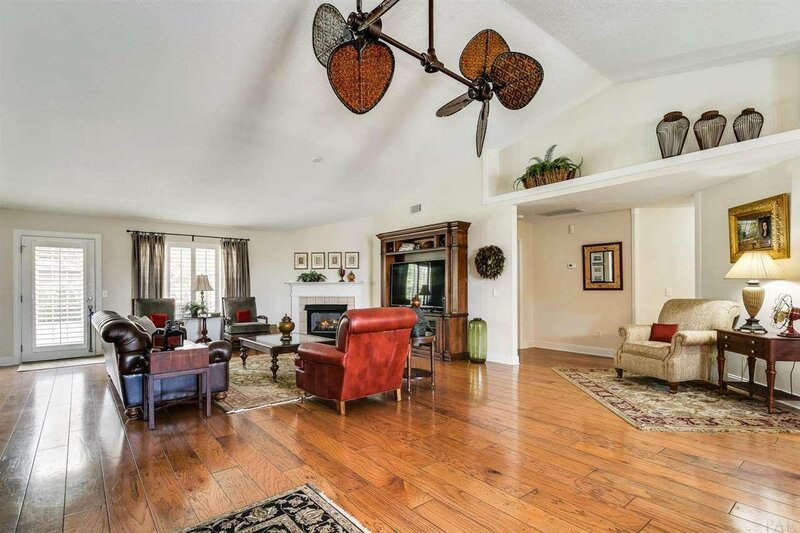 BRIGHT, open floor plan features a spacious family room with high ceilings, decorative ledges and a gas fireplace. 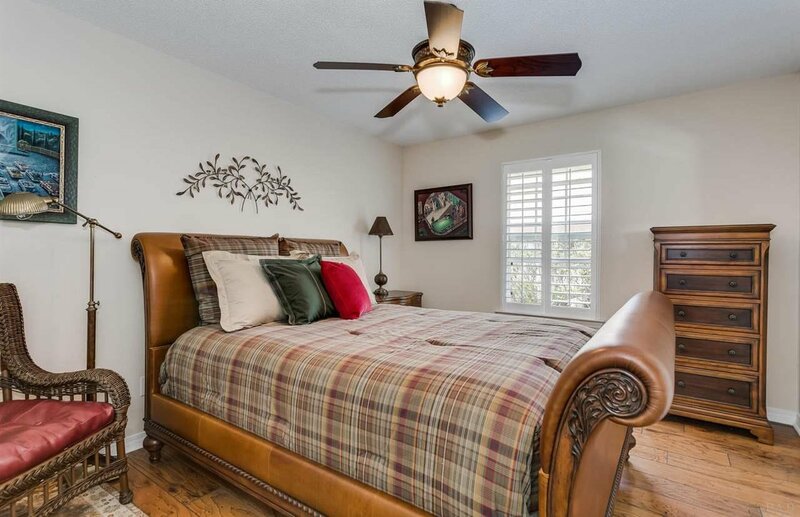 Plantation shutters cover every window in this home. 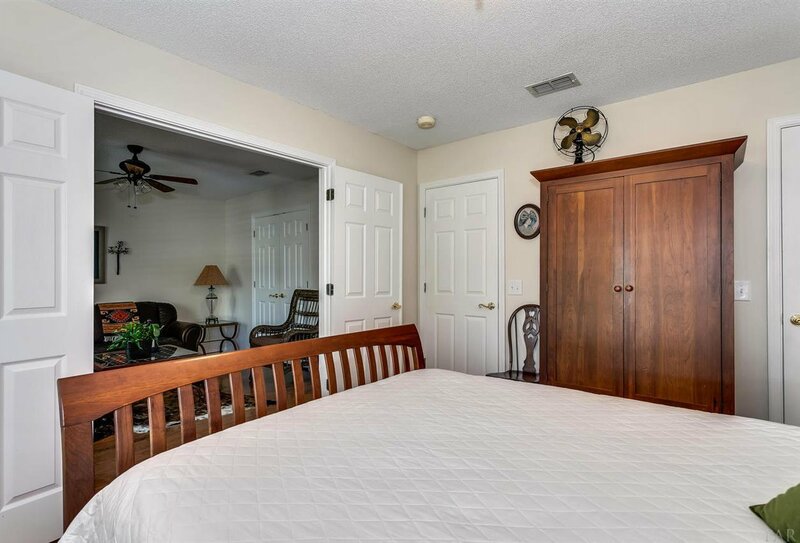 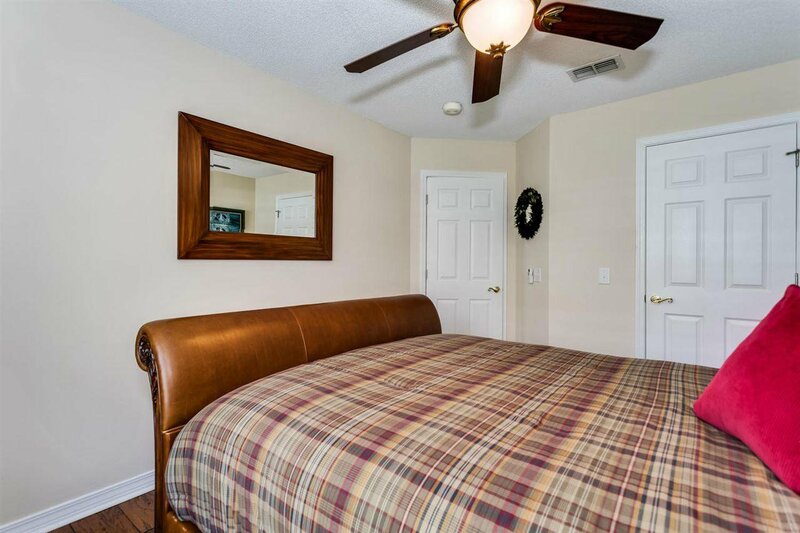 The roomy master suite has a trey ceiling, two closets, garden tub, separate shower, and double vanity. 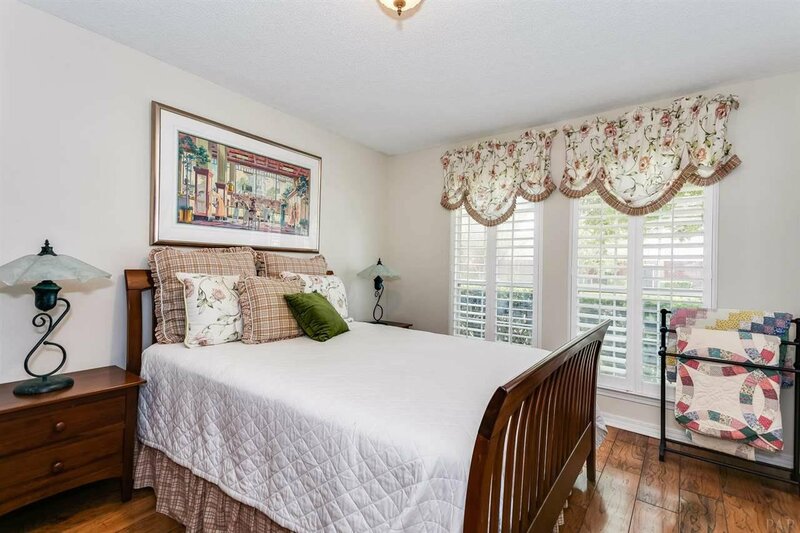 Three other large bedrooms provide plenty of room for family and guests. 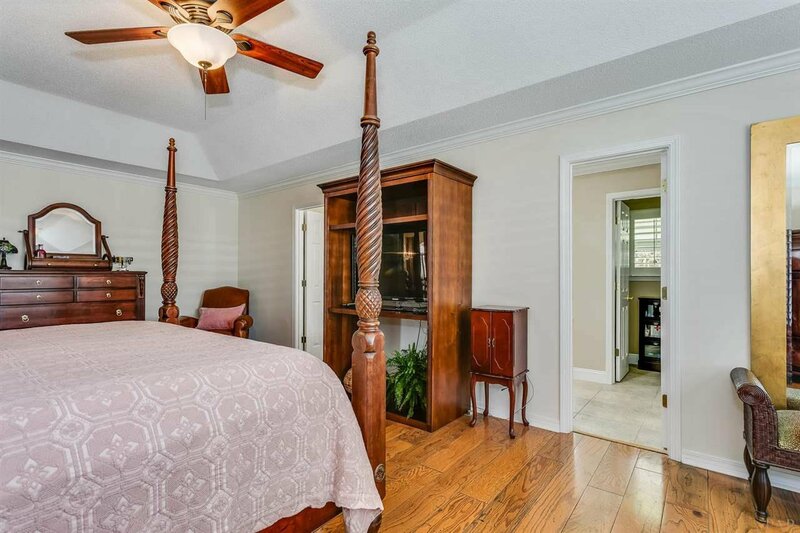 Extra features include crown molding, columns, large baseboards, sprinkler system with private well, large patio and backyard privacy fence. 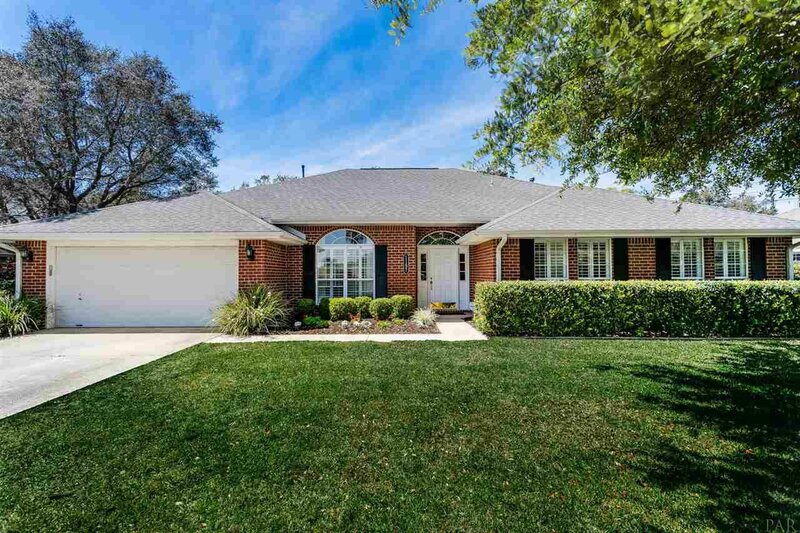 A PERFECT HOME! 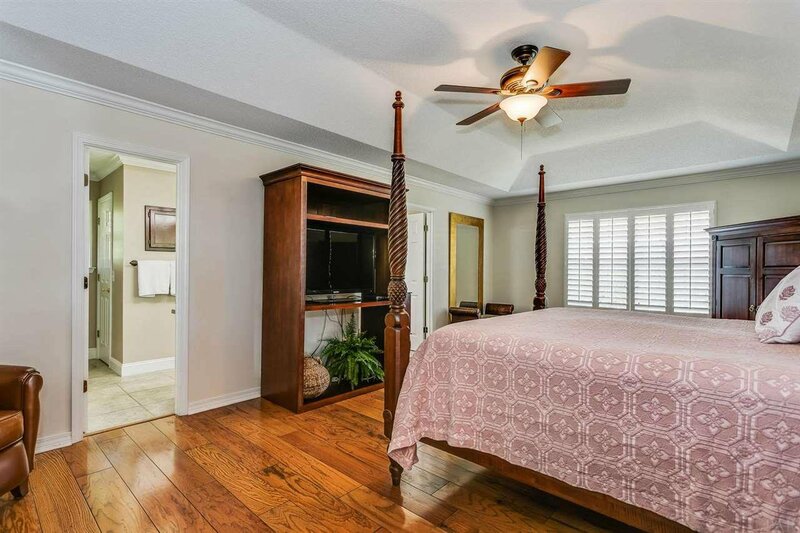 Buyers to verify all room dimensions and total square footage. 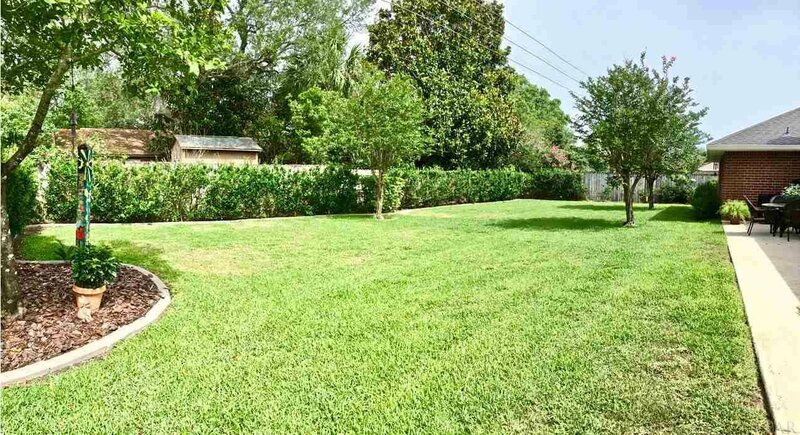 Broker is part owner of property. 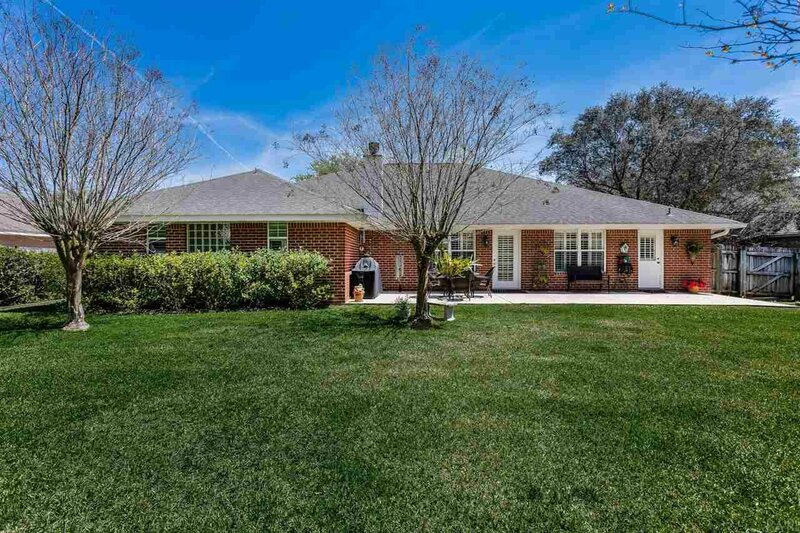 The home is not in a flood zone and has never flooded.